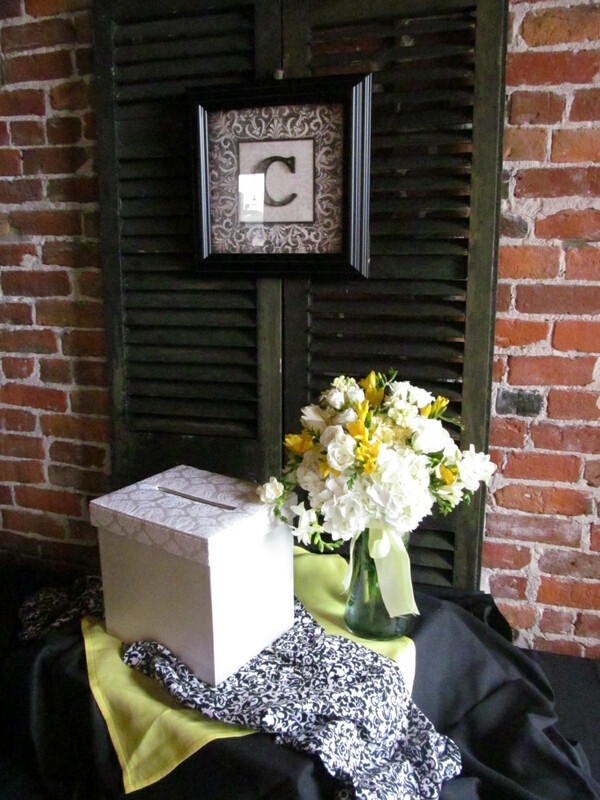 This buffalo wedding at the Pearl Street Brewery featured yellow and white blossoms which popped against black accents. 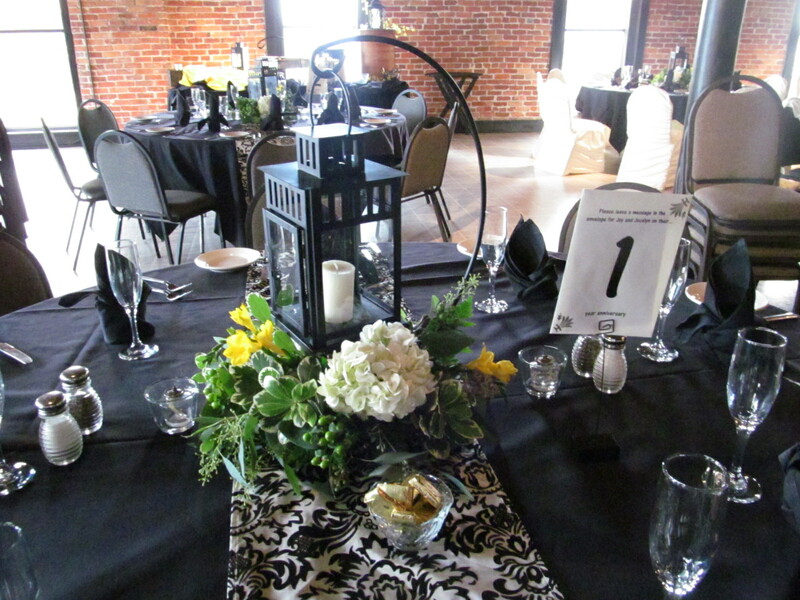 White hydrangea, yellow freesia and mixed greenery surrounded black lanterns on the tables. 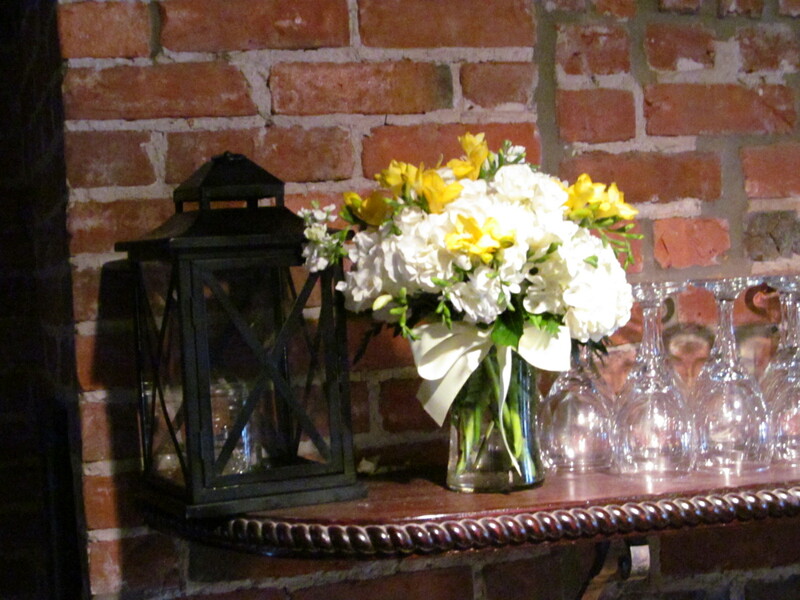 Vases of hydrangea, roses and freesia placed around the reception enhanced the décor. 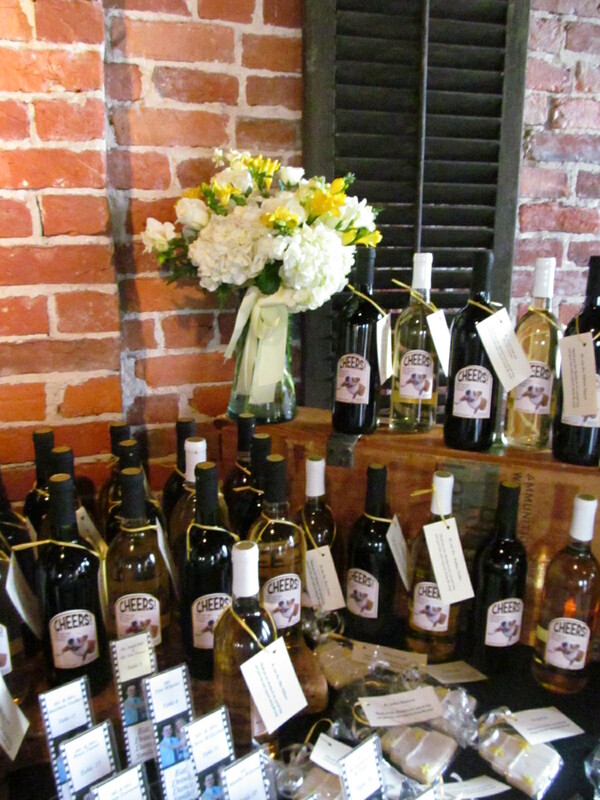 A bridal bouquet of white blossoms, evokes memories of White Christmases in Buffalo. 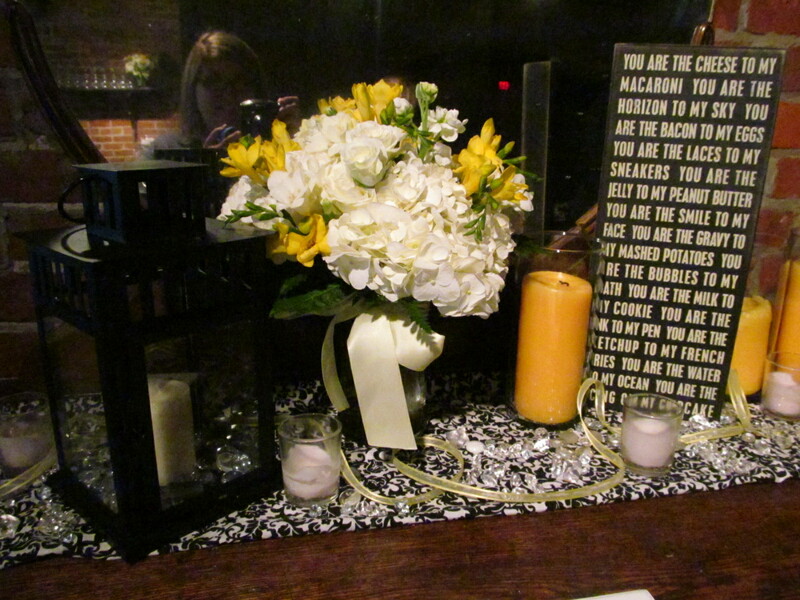 The bride carried white roses and hydrangea accented by crystals. Following through on a winter theme in Buffalo, the bride chose fur muffs for her maids to carry. A cluster of white roses, hydrangea, holly and pine accented by crystals added a touch of elegance for the ceremony. The flower girl carried a basket of flowers to match the flowers on the bridesmaid’s muffs. The wedding ceremony was held at Canisius College Chapel in Buffalo, NY. The couples unity candle was incorporated into a centerpiece of white hydrangea, roses, holly and greenery. A touch of crystals followed through to add a touch of sparkle. Our design team draped tulle along the pews of the Canisius Chapel to create a dramatic ceremony space. The sweeping white tulle added a soft touch for a romantic ceremony accented by candle light.